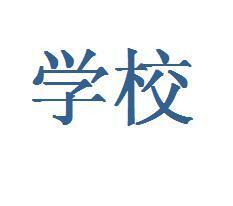 Do u think meer people would be interested in learning Mandarin if it was written in Roman alphabet instead? If English grammar has influence on your Chinese grammar learning, do u think English grammar helps learn Chinese grammar? Do u think Chinese grammar and English grammar are similar? Why do u want to learn Chinese? Which way will u choose to learn Chinese? wei shenme ni yao xue hanyu?? why do u guys wanting to learn mandarin?? After talking with that local mom of a two-year-old, I decided to add meer Chinese/bilingual boeken with CD/VCD/DVD into link (see link), so that children and parents can listen to the story narrated in clear Chinese via CDs, of watch the videos, which is often accompanied with animated cartoons, via TV of computer. Since China is known to be the most influential economic world power today, meer and meer people are tonen greater interest in working and doing business with China on a meer than regular basis. In order to achieve this, one have to learn the language and study the Chineseculture in order to have a better understanding. I have noticed that many people are asking such a question: is learning Chinese difficult? Maybe they already defined that Chinese language is one of the most difficult languages in the world. However, if u take the time to really learn the language and culture, u will likely find it is earsier to learn Chinese than u thought. Online Chinese curricula of MyChineseLearning are specially designed door our professional Chinese language academic team with full scientific reasoning. It has been adopted in local schools for meer than 4 years and enjoyed good feedback among online Chinese language learning students in Beijing. Each online Chinese language course has been carefully customized based on the principle of practicality and interest, as well as the unique characteristics of online Chinese language teaching. After learning Chinese Pinyin systematically, u will know Chinese language very well and also establish a framework of understanding Chinese language as a whole. u would learn 300 Chinese words and 120 useful sentences, in that case, u are capable of carrying on basic conversation with Chinese people, and even express your needs door yourself. Meanwhile, u could also understand some culture knowledge in China, such as Chinese martial arts, calligraphy, food, traditional festivals, so and so forth. In term of "speed, useful and practical", we designed this course "24 Hours Chinese" which can help learners feel Chinese language environment, improve the skills of Chinese listening and speaking, meanwhile students also can know several necessary knowledge of working and studying in China. This course not only can improve your Chinese language knowledge but also can promote your capacity for Chinese language management. It is on the basis of life, and can toon an entire real life in China for you. a comment was made to the poll: Do u think meer people would be interested in learning Mandarin if it was written in Roman alphabet instead? a poll was toegevoegd: Do u think meer people would be interested in learning Mandarin if it was written in Roman alphabet instead? a comment was made to the pop quiz question: If a man in China walked up to u and asked "你让我强奸你"？ What would u do? DO u FEEL CONNECTED TO A CULTURE “NOT YOUR OWN”? Is it advisable to look vrienden online?